A key mission of the Irlen Syndrome Foundation is to increase accessibility of Irlen services. Dr. Patricia Johnson believed in this mission passionately, and in over two decades with the Irlen organization, she trained thousands of professionals in the Irlen Method across Texas and surrounding southern states. The Pat Johnson Memorial Scholarship, offered by the Irlen Syndrome Foundation, honors Dr. Pat Johnson’s tireless efforts to bring Irlen Syndrome and the Irlen Method to children and adults suffering from Irlen Syndrome. In the spirit of Dr. Johnson’s tenacity, intellectual prowess, and overwhelming desire to change lives for the better, the Pat Johnson Memorial Scholarship will continue her legacy by making Irlen services available to those in need. Dr. Johnson was with the Irlen organization for 22 years. 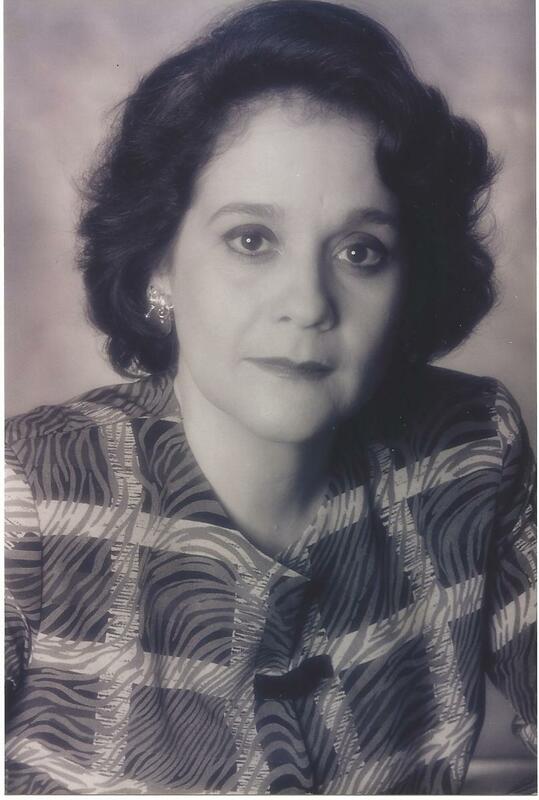 She was an instrumental force in growing one of the strongest networks of Irlen Practitioners in the world, training Irlen Screeners across the entire great state of Texas, as well as Mississippi, and Louisiana. She was the driving force behind the Texas Irlen Association, and fought hard to get school children access to Irlen services through school district trainings and proposed state legislation. The Irlen Syndrome Foundation aims to keep Dr. Johnson’s mission and spirit alive through the Pat Johnson Memorial Scholarship, which will give individuals in Texas and the surrounding southern states access to Irlen testing and spectral filters. In 2015 two Pat Johnson Memorial Scholarships were awarded. Please help us keep Pat’s memory and altruistic mission alive. To make a donation to the Irlen Syndrome Foundation’s Pat Johnson Memorial Scholarship Fund, please click the link below or email donate@irlensyndrome.org to talk to someone directly about your contribution. The Irlen Syndrome Foundation is a 501(3)(c) charity organization. Donations are tax deductible. We are also able to accept donations from “Donor Advised Funds” and Charitable Remainder Trusts. Our federal tax ID is 33-0409023. Our mailing address is 5380 E. Village Rd., Long Beach, CA 90808. Take advantage of alternative funding sources to make your annual charitable gifts. Today, it’s easier than ever to make gifts from your IRA distributions or donor-advised funds, and in doing so, maximize your tax benefits while at the same time support a cause you care about. Retirees age 70 1/2 and older can donate up to $100,000 tax free from their IRA each year. This can be a huge benefit for retirees who are required to take an annual distribution from their IRA because IRA distributions are generally treated as taxable income. Under the new legislation, made permanent in the 2015 federal spending and tax package, those assets are excluded from income if the distribution is made directly to charity. The distribution is not included in your income so you avoid the potential negative consequences that regular IRA withdrawals in retirement can create, including taxes on Social Security benefits. In addition, instead of being limited to a lower percentage, as charitable contribution deductions normally are, distributions that are excluded from income are equivalent to a 100% deduction. Once you turn 70 1/2, the IRS required you to take a minimum distribution from your IRA each year, regardless of whether or not you actually need that income, and these required withdrawals are subject to ordinary income taxes. By making a charitable contribution from your IRA, you can satisfy your required minimum distribution amount without reporting additional income. Make sure you speak with your tax and or financial adviser before making tax or investment decisions to see if donating IRA distributions is right for you. Many financial institutions offer ways for their clients to participate in charitable giving, and one of these ways is through donor-advised funds. These offer donors the convenience of making a single tax-deductible donation, then distributing those funds to the charities of their choice. It allow donors the ease of contributing things other than cash, such as real estate, appreciated securities and non-publicly traded assets. And, it offers donors the ability to grow their donations tax-free and distribute their funds to charities over time. All of this allows for the potential of a higher charitable impact. Ask your financial institution about their available donor-advised funds for more information, and as always, be sure to speak with your tax and or financial adviser before making tax or investment decisions. Marcia Reis Guimaraes, MD, PhD, is an ophthalmologist and eye pathologist with an educational background in molecular biology and basic sciences. She is an Assistant Professor of Ophthalmology, Embryology and Pathology at the Universidade de Sao Paulo and Universidade Pitagoras and invited professor of several universities throughout Brazil. She is Clinical Director of the Hospital de Olhos de Minas Gerais in Brazil. 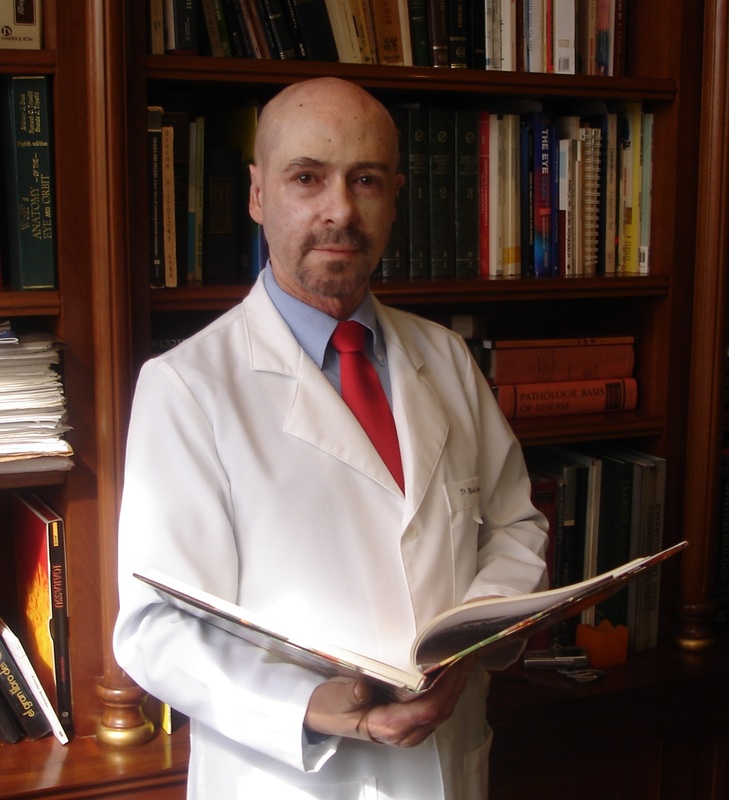 Dr. Guimaraes is also Director of the Irlen Clinic in Belo Horizonte, which is located in the Hospital de Olhos. She serves as Research Clinical Professor at the Federal University of Mina Gerais-LPAN (Laboratory Advance Research in clinically Applied Neurovisual Sciences). Ricardo Guimaraes, MD, PhD, is a board certified ophthalmologist and founder and Director of the Hospital de Olhos in Minas Garais Brazil, the largest individual private eye clinics in Brazil. Dr. Guimaraes is also Assistant Professor at the Federal University of Minas Gerais (Brazil) and Director of the International Club of Surgery. He serves as President of the Brazilian Society of Refractive Surgery and maintains professional memberships in the Brazilian Society of Ophthalmology, the American Academy of Ophthalmology, and the International Society of Refractive Surgery. He serves on a number of editorial boards, including Highlights of Ophthalmology and Medical Editor for Ocular Surgery News for Latin America, and is currently serving as Honorary Consul of Canada in Minas Gerais, Medical Editor of Ocular Surgery New for Latin America, member of the board of the council of Health School – Universidade Pitagoras, Brazilian Institute of Marketing Economy (IBMEC), and Fundação da Associação Comercial de Minas Gerais and American Chamber of Commerce. Jeffrey David Lewine, PhD, is Professor of Translational Neuroscience and Director of Business Development at the Mind Research Network, affiliated with the University of New Mexico. Dr. Lewine’s research uses behavioral and brain imaging methods including magnetoencephalography [MEG], electroencephalography [EEG], magnetic resonance imaging [MRI], and single photon emission computed tomography [SPECT]) to study brain structure and function. He has performed research on a wide range of clinical conditions including autism, attention deficit hyperactivity disorder (ADHD), depression, dyslexia, epilepsy, schizophrenia, post-traumatic stress disorder and traumatic brain injury. These investigations have been funded, in part, by Cure Autism Now, Johnson & Johnson, Illinois Department of Veterans Affairs, March of Dimes Birth Defects Foundation, McDonnell-Pew Program in Cognitive Neuroscience, National Alliance for Research on Schizophrenia and Affective Disorders, Orasi Medical, the National Science Foundation and the National Institutes of Health. Dr. Lewine has previously directed functional brain imaging programs in New Mexico, Utah, Kansas and Illinois. He is a member of the College of Scientific Reviewers for the National Institutes of Health and a member of the executive boards for the American Clinical Magnetoencephalography Society and the International Society for the Advancement of Clinical MEG. Dr. Lewine is the co-author of a textbook on functional brain imaging and he has co-authored more than 100 articles and book chapters. Helen L. Irlen, MA, BCPC, LMFT, is a pioneer and global leader in the area of visual processing problems and an internationally recognized educator, researcher, and scholar. She is the founder and Executive Director of the Irlen Institute, which has over 138 affiliated Irlen Centers worldwide. Her method for treating visual processing deficits is used in over 45 countries. 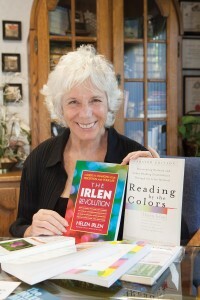 She is the author of Reading by the Colors and The Irlen Revolution: A Guide to Changing Your Perception and Your Life. Her newest book is Sports Concussions and Getting Back in the Game…of Life.